“Has none of the bloat that other white noise generators might have.” Ash Ponders, App Store review. Static noise and visuals at your fingertips. Soothing sound for fussy babies and frazzled adults. Many apps use megabytes of storage with enormous recorded loops, leaving less space for your movies, photos, and music. Swish uses the built-in audio of your device to generate high-quality static noise while conserving storage space and battery life. 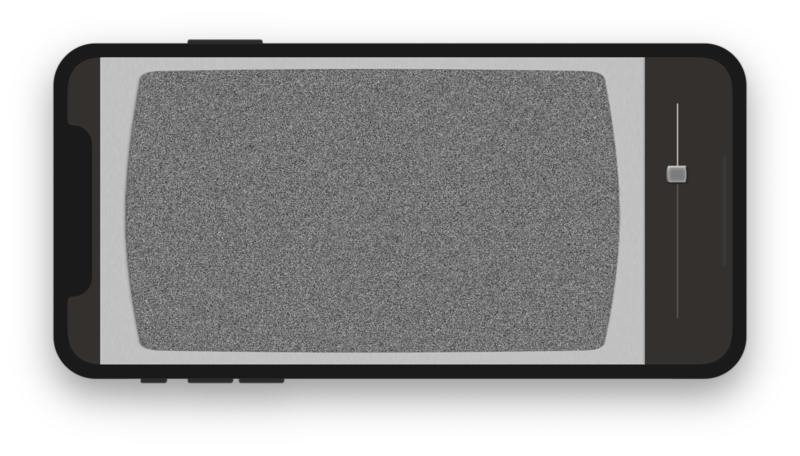 Gaze into the mesmerizing TV-style static display, which animates on your device screen while audio noise is being generated. For distraction-free audio, just put your device's screen to sleep while you listen. Swish display. Click to view larger image. Swish is a trademark of Red Sweater Software.